Cantor Boxt introduces worship styles that are part of new trends and conversations in congregational prayer and offers the sermon, "Who Moved My Melody?" exploring why there are so many prayer melodies. Cantor Boxt will be joined by Temple Shalom’s clergy and Shir Shalom. Shabbat dinner follows. $20/pp. Cantor Boxt is the Union for Reform Judaism Director of Worship. 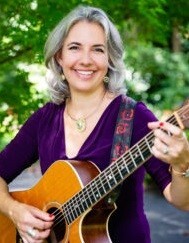 Prior to joining the URJ, she was Cantor at Temple Emanuel in Kensington, Md. for 16 years.